Anomaly Vineyards is located at the base of the Mayacamas Mountains in California's Napa Valley in the small historic town of St. Helena. 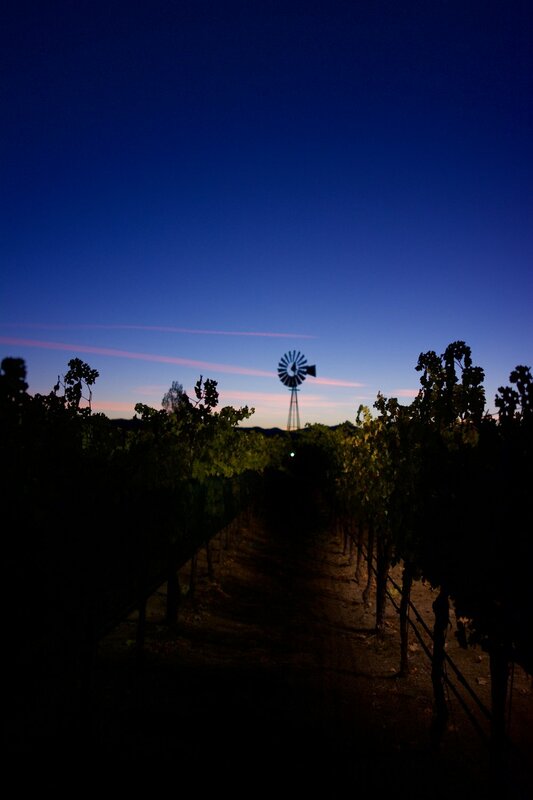 Anomaly specializes in the production of the highest-quality Cabernet Sauvignon. The first vintage of Anomaly was harvested in 1997 and made by us, "budding garagistes." Buoyed by the praise of our 1997 vintage, we embarked on the journey of obtaining a permit to produce Cabernet Sauvignon by building a small winery adjacent to our small vineyard. Our first release consisted of 300 cases and sold out immediately. As the vineyards matured, the increased availability of grapes allowed us to gradually produce more wine. Of course, weather conditions played a large factor in the amount of fruit the vines produced. There are days we forget, but truth be told, we are all farmers and at the mercy of Mother Nature. 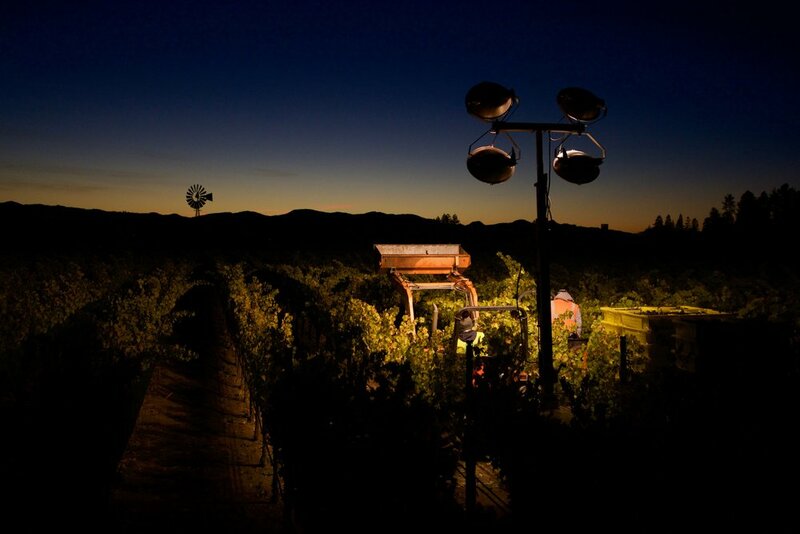 The stone winery at Anomaly is representative of the cooperation amongst wineries in the Napa Valley. As newcomers to the wine community, we retained Jon Lail and Associates of St Helena to design our winery and were fortunate to persuade Bob Eberlin of Eberlin Construction to undertake the task of building our little gem. However, before anyone could start building, we had to determine just what kind of facility we wanted. We quickly realized that we didn’t have a clue as to how to build or outfit a winery. So we embarked on a journey of asking 30 small wineries in the Valley to advise us on what elements to include if we were to achieve our goal of producing a cabernet that we liked to drink and one that complemented fine food. To our surprise, not one of the wineries refused to help. They told us what worked and what didn’t. They shared their secrets, and more importantly, opened their doors in the true spirit of the Napa Valley welcoming us, not as competitors, but as family. By Harvest of 2002, our beautiful stone winery was open, replete with the best ideas from the best minds in the wine community. We love our little winery and believe that it gives us the opportunity to make a wine that is the finest possible expression of our organic vineyard. The Anomaly team has a passion for crafting exceptional wines and sharing them with the world. Warm days, cold nights, and rocky, well drained soils are an ideal combination for this world class cabernet sauvignon site. creek bed consisting of “water rolled gravel + cobbles”. In other words, prime Cabernet dirt, which has been producing grapes for some of the best wines Napa has to offer for close to 100 years. Our vineyard blocks are farmed organically and are certified by the CCOF. Winemaker Mark Porembski's mission for Anomaly is to craft precise wines that age elegantly, and respect the long history of cabernet sauvignon. Anomaly Vineyards Cabernet Sauvignon A wine that is inspired by history, and crafted for longevity. Designation Red Wine A vintner's fantasy - to create a blend both unparalleled and without compromise. Designation is a selection of just a handful of the finest barrels in the Anomaly cellar. This club includes 2 shipments a year. In the spring, club members receive six 750ml bottles of the current release of Anomaly Vineyards Cabernet Sauvignon (780). In the fall, club members receive three 750ml bottles of Designation Red Wine (690). All memberships begin with the spring shipment. This club includes 2 shipments a year. In the spring, club members receive twelve 750ml bottles of the current release of Anomaly Vineyards Cabernet Sauvignon (1560). In the fall, club members receive six 750ml bottles of Designation Red Wine shipped in a beautiful cherrywood box (1380). All memberships begin with the spring shipment. Anomaly Vineyards is open by appointment only. If you wish to schedule a visit please contact our Director of Hospitality T.J. at 707-948-6877. Appointments are available Monday through Saturday from 10am to 4pm. Please note that our winery permit does not allow visitors to arrive in buses or stretch limos that accommodate more than 6 passengers.